The voice of Israel – J. The woman stood poised at the podium along Israel’s northern border. She stared out into a sea of cameras and notebooks held by reporters from around the world, all of whom waited for her, the prime minister’s spokeswoman, to explain how the Israel Defense Forces was handling the explosive conflict between Israel and Hezbollah in Lebanon. Thirty-five years earlier, that spokeswoman was a petite 9-year-old bookworm who played “kick the can” with her best friend in Marin. Miri Eisin, a powerful and articulate woman serving as Prime Minister Ehud Olmert’s foreign press and public affairs adviser, grew up in Lucas Valley until her parents made aliyah in 1971. She’s now 43 and very much Israeli, she said. Still, she treasures her childhood memories of Northern California. Miri Eisin is to Ehud Olmert as Tony Snow is to President Bush. Her week begins on Sunday, as do all Israeli workweeks. But Eisin knows no “typical” day or week. She meets with the prime minister every day. She attends weekly Cabinet meetings. She meets with foreign dignitaries such as Kofi Annan and Tony Blair. She travels with the prime minister, most recently to the White House, where she addressed dozens of journalists at the National Press Club on Nov. 13. Working with the media is the most visible part of her job. Israel, Eisin said, has more journalists than anywhere else in the world. The country houses an estimated 340 full-time journalists and another 400 who periodically come and go. The numbers jumped to 2,500 during the last election in April. 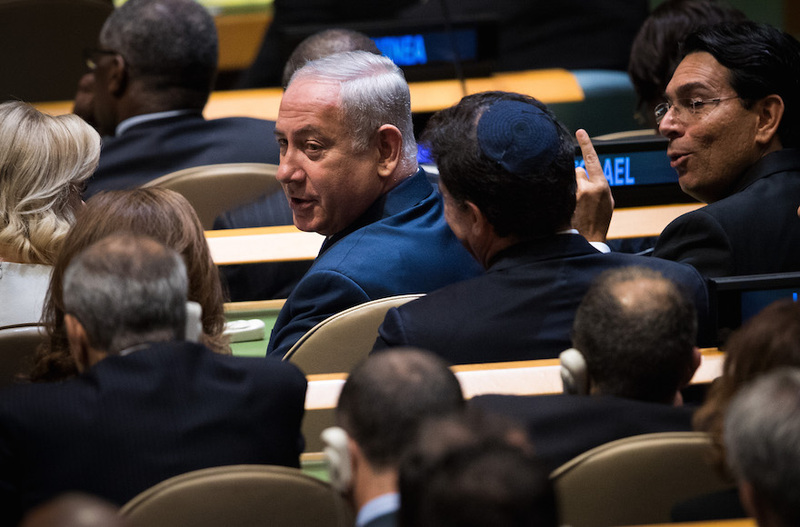 “I talk endlessly to every foreign journalist in Israel and abroad,” Eisin said. Four years earlier, she was spokeswoman for IDF Intelligence. She became the current press secretary in the midst of the war with Hezbollah. The position had been vacant for some time. Once Hezbollah kidnapped Israeli soldiers and the violence escalated, Eisin was called up on an emergency basis. During the war, Katyusha rockets whistled as they fell to the ground near Eisin’s press conferences. Planes whizzed over her head. Bomb shelters in Haifa and the Galilee were sticky safety nets in the hot, humid summer air. Eisin did not wear a flak jacket, even though most of the media who surrounded her did. She favored pants and comfortable shirts over business suits. They were in a combat zone, after all. One day, a rocket hit a nearby train depot, killing eight rail workers. Olmert requested she stay in the position even after the war ended. The violence broadcast on U.S. network news was probably not a comprehensive look at the conflict between Israel and Hezbollah, Eisin said. It’s complicated, she explained, because what is shown on TV and what actually happened on the ground differs. Not because of unbalanced reporting, she said, but because the stories are told within a distinctly American context. Additionally, “Most of the international media comes out of a Lebanese context showing death and destruction, then wanting my response,” she noted. “But I wanted to talk about Israel defending itself from terrorists destroying the fiber of our neighboring country. It’s very difficult to do that. Israel is recovering from the war, Eisin said. But the country is very self-critical, she added, and people are questioning how the war was handled and how the government will continue to deal with the threat of terrorism. At an early November press conference, when questioned about Middle East conflict, Eisin was headstrong and direct, firm and unflappable. An Arab journalist asked if she saw peace in Israel’s future. Miri Eisin moved to Israel just before entering the fourth grade. She is the youngest of three girls born to Annette and Morris Bode. She joined the military like all Israeli young adults, but never expected to make a career out of it. Nonetheless, she soon began rising through the ranks and found herself working in army intelligence. She became a colonel — one of 15 female colonels out of 450, the Jerusalem Post reported in September. She retired a year ago to spend more time with her husband and three children. But that goal has been put on hold while Eisin works as the prime minister’s press secretary. During the war in Lebanon, she was questioned on TV by NBC’s Martin Fletcher and CNN’s Larry King, interviews she gave from the wreckage in Haifa. Traveling between work and her Tel Aviv home was difficult. By day, she’d be in range of Katyusha rockets. By night, she’d tuck her children into bed. Eisin’s husband, Gillad, also works for the Israel Defense Forces, where they met. The couple has three children, ages 7, 5 and 2. They live in Tel Aviv; Eisin said commuting to Jerusalem is the easiest part of her day. Her parents, Annette and Morris, grew up in Milwaukee and Chicago, respectively, and met at Northwestern University’s Hillel. They moved to Marin in 1958. They drove into San Francisco three times a week with their three daughters — Debbie, Tova and Miriam — so the girls could attend religious school at a Conservative shul, since there weren’t any in Marin at the time. Eventually the Bodes helped start Congregation Kol Shofar in Tiburon. “They felt strongly about their kids having a strong Jewish identity,” said Ruth Rosen, a neighbor and Annette’s close friend. The Bodes became good friends with many of their neighbors, including Posie Conklin, who taught piano to neighborhood children. Conklin lived next door to the Bodes and gave their three daughters lessons. On Sunday evenings, Conklin and Annette Bode would cook for each other’s families. “Miriam, like most youngest children, was lighthearted and jolly, the baby of the family and much loved and adored by everyone,” Conklin said. She remembered the Bodes as being very active in the neighborhood association and the Jewish community. Morris worked downtown at Standard Oil, and Annette attended classes at U.C. Berkeley, where she became active in the free speech/civil liberties movement of the ’60s. In 1970, the Bodes took a vacation to Israel. The following year, they packed up their home and made aliyah. 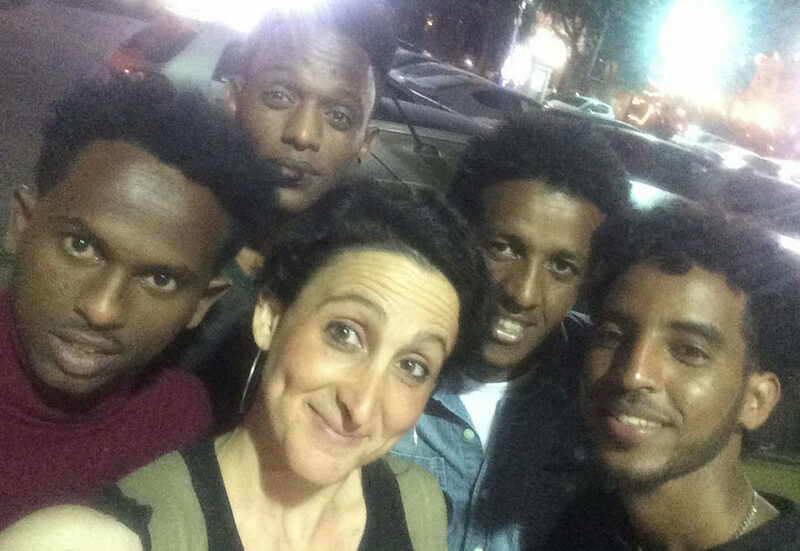 They settled in Tel Aviv, where they still live. Conklin and Rosen agreed their first reaction at losing good friends and neighbors was one of sadness and disappointment. But neither was surprised. 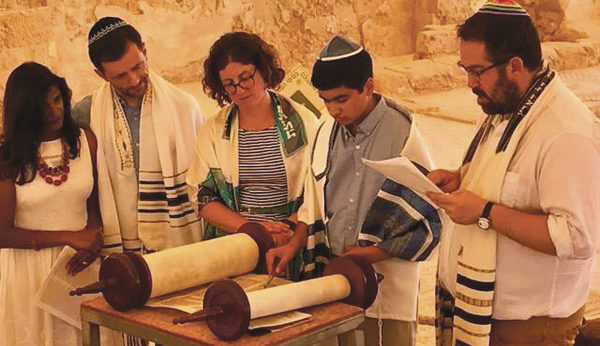 “They were very committed to their Judaism, and the move was in keeping with their religious values,” Conklin said. Nor were Eisin’s Marin neighbors and friends surprised to see the former Miri Bode on television as an important figure in Israeli government. They remembered her as an energetic and engaging child. “Knowing her mother, it didn’t surprise me that Miri would grow up to become a strong female leader,” Conklin said. “Annette is very bright, outgoing, strong in opinions and beliefs. She was, in a sense, a star. She had that kind of personality. She stood out. Eisin was last in the Bay Area in February. She came on behalf of Mothers for Peace, an initiative by the Israel Project, an organization that promotes peace in Israel by providing journalists with news reports from Jerusalem and Washington, D.C. The Mothers for Peace tour brought together Eisin and an Arab woman, Nonie Darwish, both of whom spoke about the importance of making peace in the Middle East. Ruth Rosen’s daughter, Elana — Eisin’s closest childhood friend — attended the February event. The two grew up four blocks apart in Lucas Valley. “We had not seen each other in 25 years and we picked up like it was yesterday,” Rosen said of their meeting. The two had corresponded via snail mail for many years, and Rosen visited Eisin in Israel during college. Life got busy, though, and they lost touch. After Eisin addressed a crowd in San Francisco, the women swapped stories of motherhood, and brainstormed about launching an international project together. Rosen doubts that’s in the cards any time soon, but perhaps in the future they could collaborate on a project promoting peace, conflict resolution and compassion, she said. Eisin’s background — a mixture of American and Israeli ideas, thoughts and experiences — have helped bring a certain perspective to her job as foreign press secretary. And despite feeling very Israeli, she is “still totally addicted to Sweet Tarts, and you can’t get them anywhere else in the world,” she said with a laugh. Like many Israelis, she only occasionally attends synagogue. Her parents still go every Saturday morning to a Conservative synagogue they helped start in Tel Aviv. Eisin and her sisters all married Israelis and still live in Israel. They visit the United States periodically, but all their American relatives live in the Midwest. one context to the other,” she said.